This Saturday, it is your chance to meet new friends in a fun night of fun and games. 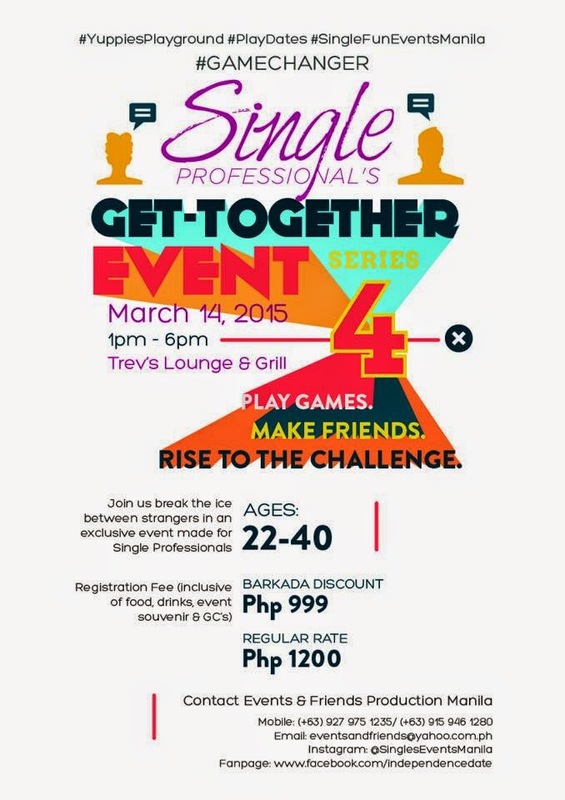 Join us at Trev's Lounge and Grill as Aldous ate the World is proud to be a media partner for Single Professionals Get-together Event Series 4. Don't be shy. Who knows? You might even meet the girl/boy of your dreams in this event. This night promises to be one you won't forget for a long time.